Dubai, United Arab Emirates,29 April 2018: Poco Loco, the Latin American restaurant at The Beach invites guests to break their fast in an unconventional manner and setting during the upcoming Holy Month of Ramadan with its unique a la carte iftar offering. Through partnering with the Entertainer vouchers throughout the Holy Month, the restaurant offers guests the chance to share a memorable meal and experience with family and friends. The rich menu that is bursting with flavours, brings together over 60 sophisticated main course selections and beverages that draw inspiration from the cuisines of Peru, Mexico, Venezuela and Japan. 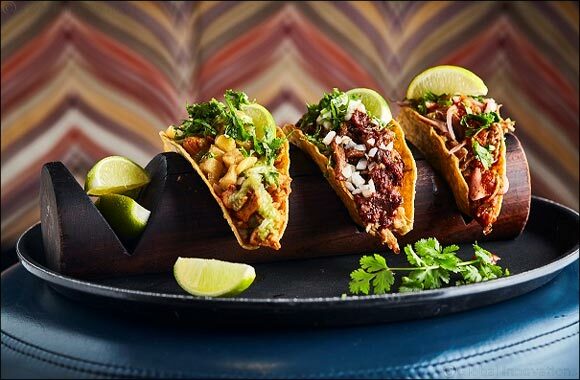 Guests can indulge in a wide assortment of burritos, tacos, nachos, fajitas, enchiladas, as well as mouthwatering desserts including ever-popular Poco Loco Churros and the restaurant’s famous Cuban delight. Diners will enjoy the lively, Latin American themed interiors and breath-taking panoramic views overlooking The Dubai Eye.